Remember hearing that in your pre-adopt class? The social worker's goal at that class was to prepare you for some of the questions and situations that you might find yourself in while parenting your adopted child. Until you've interacted with others, you probably didn't have a clear idea what you'd be advocating about. Call it the "fine print." When you adopt a child, internationally or domestically, you join a network of people who have to spend a great deal of time educating others. This may not necessarily be about adoption: it may be about sensitivity and respect for others, racism, privacy or even proper terminology. 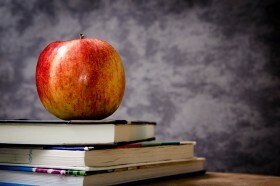 Think of some of the most interesting places you've found yourself advocating for your child - school, social situations and, of course, the grocery store. Initially, you might have felt obligated to do a lot of explaining. There are folks who are genuinely interested in this topic. Then there are people who just have to know - they are not your friends or anyone significant in your life. Why bother telling them something so personal about your family if you may never see them again? Bottom line: You don't have to explain your kids or your family to anyone. With that said, you should make the decision when, if, and what to tell. Here are some examples of situations that caught some adoptive parents by surprise. Your 7-year-old daughter comes home from school one day very excited about a school project. One of your daughter's tasks includes bringing in a baby picture. Since you brought your child home at 2½ years of age, your photo album only begins when she arrived home. It is wonderful when children are excited about a school project! In this scenario, the child may not be thinking about whether a baby photo exists or not. Figure out what thrills her about this (Is she artistic? Is she eager to share some of her story with others and if so, on what level? Is this her favorite teacher and she loves doing projects that are assigned in this class?) It's difficult to know what the child's perspective is on this until you ask your child. As a parent, your reaction may very well be "how insensitive of the teacher to assign this project!" People don’t typically wonder whether or not a baby picture of a child exists: they assume it does. This is a great opportunity to step in and advocate for your child. Before you talk to the teacher, have a dialogue with your daughter. The ease, comfort and sensitive nature that you exhibit while discussing it will give her a great model to follow. At a recent family gathering, you hear an adult relative telling a joke which negatively stereotypes Latinos. While your two children (both of Latin heritage) did not hear the joke, you are concerned that at some point, they will be exposed to this type of conversation. Idea: Discuss this type of scenario with your children before it ever occurs. Children - however they come into your family, by adoption or by birth - should hear from you about values. Let them know that others do not always share in these values. Consider it useful groundwork to place early on since there will be tougher questions later (regarding sexuality, drug use, etc.) Don’t avoid bringing it up with your relatives. He or she may need to hear that this is considered a racist remark. Your 11-year-old daughter is outside with her friend. Of course, you are not listening to their conversation but your ears perk up when the word "adopted" is mentioned by your daughter. Her friend then asks "so these people aren't your real parents?" By 11 years of age, your child should be able to respond to these types of questions on their own. It is also normal for friends who may not know about adoption to ask questions. Children at this age might not have mastered the skill of politely letting friends know when they've asked too much or your child chooses not to share personal information. How can you help? Role play this scenario with your child. In fact, if you can broach the topic of “real parents” and do some exploration around it before this scenario ever occurs, your daughter might be able to engage in this type of questioning with a little more ease. Don't forget: As an adoptive parent, you've been faced with similar questions as well and may want to share some of your ways of responding with your child. Who would take three, hungry school-aged children to the supermarket for snacks unless they were their parent? 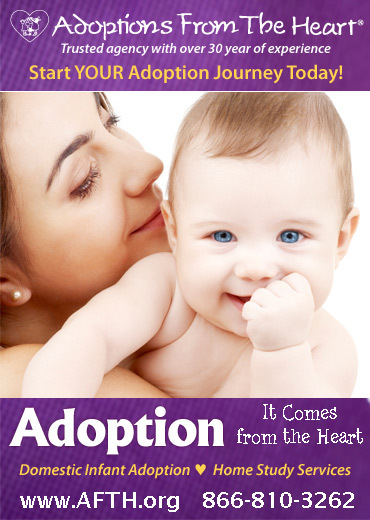 Your two options are very clear: Turn to the woman, give her all the details of how these amazing children became a part of your family through adoption. Consider explaining (in explicit detail) how grateful you are when you look at your children knowing that there was a bit of magic that brought you all together. Or you could simply say "yes, they are…," smile at your children and pay for your delicious peanut-butter crackers.